What type of studying lamp? Studying lamps like desk lamps are essential to our work environment. For visual comfort on the one hand, because the days are long and the sun is not always at the rendezvous. On the other hand, the lighting contributes to the well-being of the office but also to the safety of the worker who better illuminates his sight and can concentrate better. Then the desk lamp becomes our ray of sunshine when darkness invites us and allows us to accomplish our work. 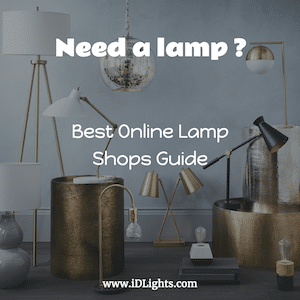 Beyond their function, desk lamps can play a role in the ambiance of your room, or even in your decoration, for the most original. It is recommended to have different light sources in an office for a better harmony of lighting. Indeed, a single luminaire strong enough to illuminate a room would be too aggressive. In the opposite case, a part of the room would be in the darkness … enough to tire the eyes very quickly. Thus, you will need at least two luminaires: direct lighting (or even two ideally) on the desk itself, and a lamp (or even two) for indirect lighting. In general, prefer an office lamp with an articulated arm. Thus, it will adapt perfectly to your needs. You can adjust the height, as well as the orientation of the luminous flux. The so-called asymmetric studying lamps are even more efficient at office work since they have the advantage of limiting the reflections of the light on the screen of the computer. If possible, check the length of the power cable depending on where you install it and the power outlets in the vicinity. How to navigate between incandescent, halogen, fluorescent or LED lights. The European standard NF EN 12464-1 recommends lighting up to 500 Lux (unit of measurement of illuminance) for a professional working in an office, on a computer. Occupational medicine generally recommends to use studying lamps emitting between 2700 and 3000 Kelvin for ergonomic lighting, ie a light close to natural light, but especially not superior in clarity. So choose a warm, not too “white” lighting. Note that the need for light is more important with age. A 60-year-old will need twice as much light as a 45-year-old … who will need twice as much light as a 20-year-old. The LED technology has the best features for a desk lamp. It is the most eco-friendly of light bulbs, with a life of more than 50 000 hours, very resistant and generating virtually no heating. Its intensity must be at least 5W. These LED luminaires represent a good investment over time as the bulbs last 5 to 50 times longer than other bulbs. Fluorescent lamps are fairly economical because they last 10,000 hours on average and are fairly strong. These bulbs called compact fluorescents for small sizes suitable for studying lamps. Their intensity must be at least 9W. In the form of a desk lamp, the lighting is very powerful because of the efficiency of the luminous flux of these bulbs. On the other hand, you will have to have patience because they take some time to be reaching their maximum intensity. Takes two 15w fluorescent bulbs. 3 prong grounded power cord. 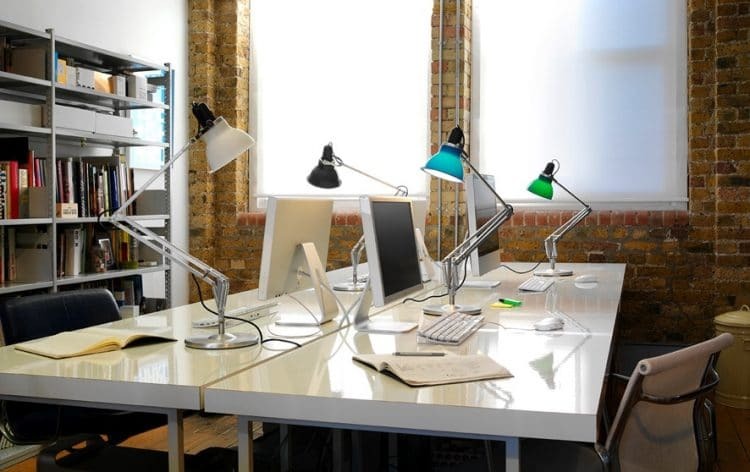 The halogen desk lamp is the one that best restores colors. If the profession requires working on colors, this lamp will be the most suitable. Its bulb lasts 3,000 hours on average. Its intensity must be at least 35W to be effective. However, be careful not to place anything on it that can ignite (scarf, post-it, etc.) since the halogen bulb heats up enormously. Tensor 10C-001 Portable Halogen Dual Reach Desk Lamp, 6" x 11" x 19"
If your main criterion is efficiency, choose a halogen desk lamp that offers the best luminous flux and the most faithful color reproduction. If your main criterion is price, prefer an asymmetrical halogen desk lamp for optimum visual comfort. If your main criterion is originality, choose a Led lamp that has the merit of offering a very large number of design considering the small size of the bulbs. If your main criterion is price, choose a Led lamp. Many original models exist and the bulbs have a very long life. If your main criterion is originality, aim for designer lamps, but do not be afraid of prices: you buy the originality. And then it’s a sustainable purchase!